The small SUV sector is currently the fastest growing in the car market, with buyers flocking to an expanding list of models as they try to combine the high-riding qualities of the SUVs with the need to downsize to more economical cars. So joining the likes of the Nissan Juke (the pioneer in the segment), Peugeot 2008, Renault Captur, Mini Countryman and Audi Q2 in quick succession are the Citroen C3 Aircross, Kia Stonic, Hyundai Kona, Volkswagen T-Roc and this new model from Spain, the Seat Arona. The Arona is based on the same platform as the current Seat Ibiza and is, mechanically speaking, the same car. However, with a ground clearance of 190mm and body that has more height (thus creating more headroom in the cabin) than the supermini, the Arona is perhaps better suited for families, especially in urban areas. The exterior design follows the high standards set by Seat in recent years, with a sense of style and sharp lines that give it great appeal. Buyers can also choose from nine body colours and three contrasting roof colours to offer a degree of personalisation, while roof rails and plastic cladding on the lower bodywork add an element of SUV-like ruggedness. The cabin is spacious and filled with materials that feel high quality, if not necessarily expensive. The surfaces are tactile and robust, while it’s worth trying to get a version with the eight-inch colour touchscreen, which is a well-thought-out infotainment system controller. A 400-litre boot (which expands to 823 litres if you drop the rear bench) is capacious enough for most uses and should swallow up the weekly shopping with ease. The six trim options also offer plenty of choice to buyers, with strong standard specification on even the base SE level. Buyers can also choose a trim that appeals to their desire for something sporty, something more comfortable, or something with more technology. Indeed, Seat are a car company with a demographic that it says is 10 years younger than the average of other brands, so it is spending a lot of time working on developing the technology in its cars, especially in terms of smartphone connectivity. Indeed, in mid-2018, it will add Alexa capability to the Arona, which will integrate with the infotainment system. The Arona performs well on the road, feeling nicely balanced and agile for a high-sided car. It feels well controlled in the corners, the steering is consistent and accurate, and there’s plenty of available grip. The ride quality on our test drive (in Spain) was also compliant and comfortable, but the real test will be on UK roads. Overall, we consider the Arona to offer the best package of ride and handling in its class at the moment. The five-strong engine line-up offers plenty of choice to buyers, with three- and four-cylinder petrol options and two variants of the Volkswagen Group’s tried-and-tested 1.6 TDI workhorse diesel. The 1.0 TSI petrol engine will be the choice of most buyers, which offers official fuel economy of around 56-57mpg. However, we would offer a word of caution over these figures: we’ve driven a lot of three-cylinder engines in recent years and real-world figures are frequently up to 20mpg lower, especially if most of their time is spent in urban driving situations. The Arona is entering a market that is becoming increasingly crowded, but it contains the best package of style, on-road ability, equipment and practicality that has been offered so far to buyers. It has particular appeal to younger buyers, thanks in part to the technology options and the opportunities to personalise, with colour and trim options. Although exact economy figures haven’t been released at time of writing, we expect that the less powerful of the two diesels will have lower fuel consumption and emissions figures, although there’s unlikely to be a huge difference between it and the 115PS version. The more powerful of the two 1.0-litre engines, especially when paired with the seven-speed automatic gearbox, is an easy-to-drive, fuss-free option for family drivers, combining good (official) fuel economy figures with enough performance. Available a few months after launch, the 1.5-litre, four-cylinder petrol engine offers noticeably more power on the road, while not penalising owners unduly with significantly higher running costs. Five engine variants are on offer to buyers. There are two 1.0 TSI petrol engines with different power outputs, and a more powerful 1.5 TSI petrol engine. There are also two 1.6 TDI diesels. Depending on the engine selected, there are five- and six-speed manual transmissions, or a seven-speed DSG automatic. Buyers can choose from six trim levels, which offer sporty and comfort options, plus ones with more technology. Prices rise for models as more equipment is added to the specification. There are three engines in the Arona range, in the form of five different variants. The base model – but the one that is likely to make up around 60% of sales – is a 1.0 TSI three-cylinder petrol engine, available in 95PS and 115PS versions. The lower-powered 95PS unit is marginally more efficient, with an official consumption figure of 57.6mpg on the combined cycle and CO2 emissions of 111g/km: the economy figures of the 115PS range from 56.5mpg to 57.mpg (depending on wheel size and trim level), with emissions of 113-114g/km. The higher-powered version does feel slightly livelier and quicker than the 95PS, obviously, but both should be peppy enough for most buyers’ needs. A four-cylinder 1.5 TSI will be added to the range in 2018, which offers greater performance for those that want it: we have tested the car and it did indeed feel appreciably quicker than even the 115PS 1.0 TSI. There are no figures for performance or economy as yet, but we expect them to be not far off those of the 1.0 TSI. The diesels will also be added to the range in 2018 and should make up around 30% of sales, reflecting the lower demand for diesel both in smaller cars and, increasingly, in the wider market. We’ve already tested the lower-powered 95PS version and it performed perfectly well, with enough power low down in the rev range and, thanks to some judicious sound-deadening, felt quite refined, with no unduly harsh-sounding engine noise in the cabin. The Arona is being launched with six trim levels that, in addition to offering different levels of equipment, also allow buyers to opt for sportier or more comfort-orientated versions, as well as enabling them to choose different levels of technological options. The base SE cars come with 17-inch alloy wheels, bi-colour roof, black roof rails, chrome front grille, power-adjustable door mirrors, LED daytime running lights and tail lights, front cornering fog lights and automatic headlights. Standard interior equipment includes air conditioning, height-adjustable front seats, split-folding rear seat, electric windows front and rear, a five-inch touchscreen, FM/AM/DAB radio, Bluetooth and aux-in/USB connections. Safety equipment – which is standard on all Arona models – includes Front Assist, Multi-Collision Braking, Hill Hold Control, Tiredness Recognition System, cruise control, front-side-curtain airbags, active front head restraints and Isofix child seat mounts. SE Technology, as the name suggests, upgrades the SE trim with some additional tech, such as eight-inch colour touchscreen and proximity sensor, navigation with 3D map display and voice control, Full Link smartphone connectivity (including MirrorLink, Apple CarPlay and Google Android Auto), a wireless phone charger, an additional USB port, two SD card slots and rear parking sensors. For an initial period after launch, an SE Technology First Edition – only available with the 1.0 TSI 95 PS engine – is on sale. This adds a Storage Pack comprising a front-centre arm rest, a drawer beneath driver’s seat and load anchorage points in the boot, a Winter Pack with heated front seats and heated washer nozzles, rain-sensing wipers, auto-dimming rear-view mirrors, coming/leaving home headlight functions, heated/folding door mirrors, dual-zone climate control, KESSY keyless entry and go and adaptive cruise control. Next up is the FR trim, which is for buyers who want something with a sportier appeal. It comes with 17-inch alloys, full LED headlights, chrome roof rails, dark-tinted rear windows, twin tailpipes and (heated/folding) door mirrors, sports front seats, flat-bottom steering wheel, multi-colour ambient lighting, Drive Profile driving modes (Normal/Sport/Eco/Individual), sports suspension, alarm, rain-sensing wipers, auto-dimming rear-view mirror, coming/leaving home headlight functions and dual-zone climate control. FR Sport ramps the, er, sportiness with 18-inch alloys, Dynamic Chassis Control and black Alcantara upholstery. The Xcellence trim aims for Arona buyers who instead prioritise comfort and convenience, so it takes the sporty FR trim features out of the mix and adds the Storage Pack from the SE Technology First Edition, keyless-entry-and-go, front seatback storage pockets, Blind Spot Detection and Rear Cross Traffic Alert. Xcellence Lux further adds 18-inch alloys, black Alcantara upholstery, Drive Profile driving modes, front parking sensors, a rear-view camera and Park Assist. At launch and for limited period, the Xcellence First Edition adds a Beats sound system, Winter Pack, front sensor, rear-view camera and Park Assist to the Xcellence trim features. The Arona was launched after the most recent Driver Power survey, so it wasn’t included. 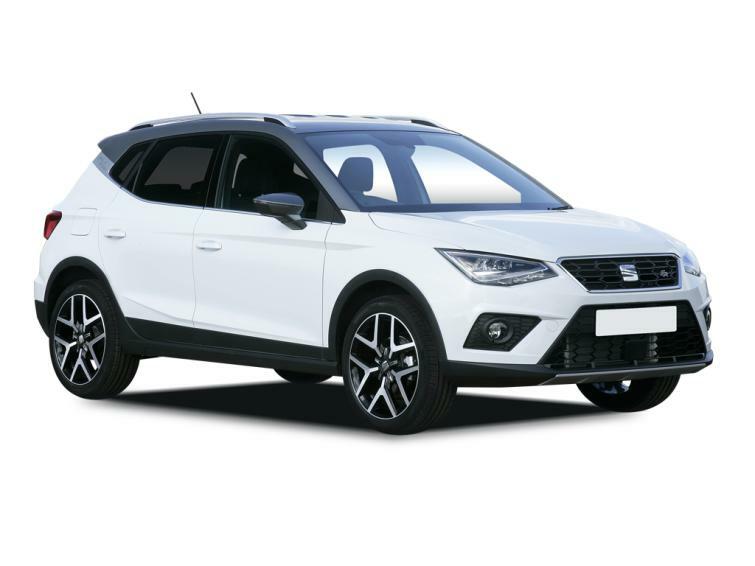 The new Ibiza, with which the Arona shares a platform, was also launched subsequent to the survey, so is no guide, either: the last-generation car was placed 62nd, but the latest model has an all-new platform, so that position isn’t necessarily representative. However, the current Seat Leon attained seventh position overall, which is perhaps more indicative of how reliable more recent Seats are. The standard Seat warranty is three years or 60,000 miles, which is relatively standard for the segment – although the Hyundai Kona offers a five-year warranty and you get seven years with a Kia Stonic. The Arona is still fairly new to the UK market. Small SUVs are the fastest growing segment of the car market at the moment, we expect demand to be high for the Arona when it goes on sale. Usually in a situation like that, used cars take some time to filter through. However, we are seeing some 18-reg 1.6TDI cars in SE Technology for sale for less than £15,500. That's around £4,000 off the list price. Seat says that its demographic is generally ten years younger than most other manufacturers, and the youth-bating styling plays up to this. It's full of sharp lines and can be had with a contrasting-coloured roof. The sportiest Arona on offer is the 1.5TSI Evo. It can get to 62mph in 8.3 seconds and is no slouch. It'll still return 42.4mpg in real world terms too. It comes in six different trim levels. This should ensure that there's plenty of choice when looking at nearly new Aronas. Standard interior equipment levels are high in the Arona, and includes air conditioning, electric windows front and rear, a five-inch touchscreen, FM/AM/DAB radio, Bluetooth and aux-in/USB connections to name just a few. All cars come with touchscreen controls, and they're all pretty good. Connectivty is very high too - and connecting to your phone can be done via USB or bluetooth. The Arona is taller than the Ibiza which it is based on - this means there is more room in the cabin. Specifically, it makes a great difference to rear seating height. Kids will find acres of space, and most adults won't feel too hard done by either. The boot can hold 400 litres, which isn't too shabby. However, this dramatically expands to 823 litres if you drop the rear bench. The weekly shop will fit in whether you have the seats down or not.